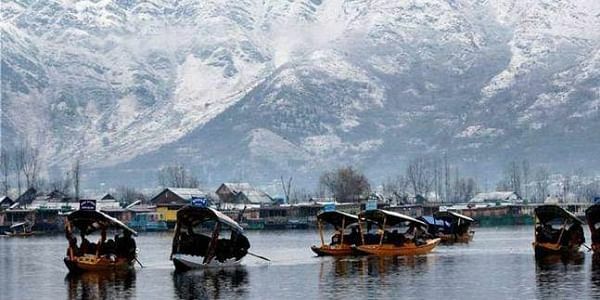 Kashmiri youngsters get their fix of Bollywood when they travel to Jammu or other parts of the country. OK, here’s the other great distinction of Srinagar: We have no cinema theatre. There used to be about a dozen halls in Srinagar. All of them closed in 1990 after militancy erupted in the Kashmir Valley. I call that a distinction because who can live without India’s big opiate? Since then, there have been sporadic attempts by the government to reopen three cinema halls in Srinagar. However, they closed again within a short duration due to militant threats and “lack of enthusiasm” among local people. So Kashmiri youngsters get their fix of Bollywood when they travel to Jammu or other parts of the country. But back home in Srinagar, no one talks about revival of cinema halls. So you might well ask, how do Kashmiris get by without Big B? The fact is nobody here misses Bollywood cinema because movies are accessible on laptops and desktops by way of torrent downloads. And there are a plethora of TV channels airing B movies ad nauseum. If the Durbar has moved, can power cuts be far away in Srinagar? The babus and their boxes are gone to Jammu, and we have gone over to the dark side of the moon. The power cuts didn’t take long, did they? A day after the trucks rumbled out, ‘unscheduled’ power cuts have set in like clockwork. A week into absentee governance, the outages have only grown longer. My friends in the power department tell me to brace up to power cuts for up to 42 hours a week. People crib, though, although this is the experience every year. If we have 42-hour power cuts per week in early November, what’s it going to be at the peak winter? The Srinagar Municipal Corporation (SMC) has issued a nine-point advisory to citizens on dealing with dogs in the street. Using disarming syntax, it says: “Dogs can bite regardless of their size and breed. Children from the age group 4-9 are most common victims of dog bites. Don’t leave them alone around pack of stray dog.” Estimates of the dog population of Srinagar vary between 50,000 and 1 lakh. There have been 3832 dog bite cases so far this year. Further, “Don’t look directly into the eyes of dog as it can take it as a challenge for power and control. Never go near a dog that is sleeping, eating, or a mother dog that is taking care of puppies,” it says. The nine-point advisory tells people how to identify aggressive dogs. If any reader wants the full text of the advisory, I’d be happy to email it to them. Displaying communal harmony for which Kashmir is justly famous, people of different faiths joined hands to ring the bell for the first time in 50 years at the Holy Family Catholic Church in Srinagar last Sunday. The chimes had not been heard since the church, built in 1896, lost its original bell due to arson back in June 1967.